Jaguar XJ Performance, Engine, Ride, Handling | What Car? There’s a simple engine line-up in the XJ, since there’s just one choice. The 3.0-litre V6 diesel has 296bhp and a whopping 516lb ft of torque. 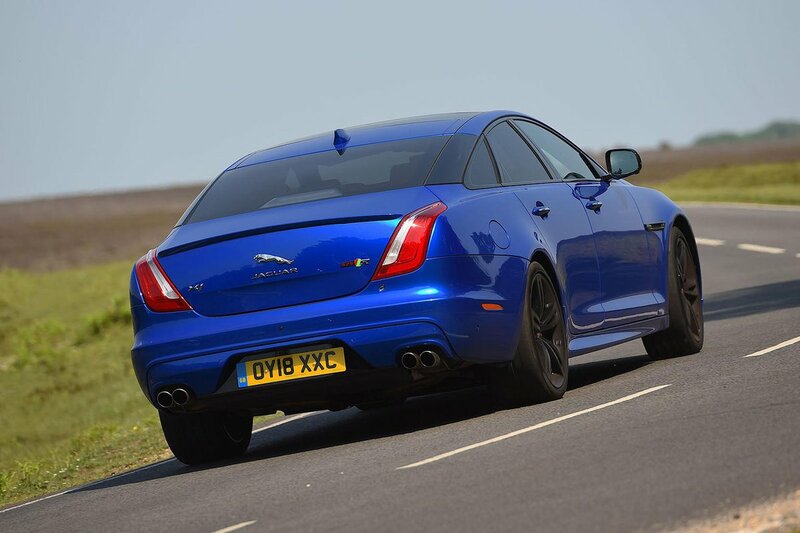 Throughout the XJ’s life, it’s been our pick of the range, so the fact that it is now the only option is no bad thing. This unit offers decent performance and a lot of overtaking power, thanks to the masses of low-down torque. Acceleration is brisk rather than scintillating, though; the engine offers all the pace you’d need in everyday commuting and easily manages motorway schleps, but there is no longer a performance-focused halo model offering the kind of blistering speed that top-spec rival cars offer. Those rivals have a lot more options when it comes to engines, including hybrid technology and petrol models. And while the XJ keeps up to speed with equivalent-powered diesel options, it’s a shame that there isn’t more of a choice. An automatic gearbox is standard and smooth in most situations. It can be hesitant when pulling away from low speeds, however. Despite being the biggest, most luxurious model in Jaguar’s range, the XJ can’t escape its sports-saloon heritage. You’d never call the ride uncomfortable, but you do feel the road’s surface much more than in its rivals, even in the adaptive suspension’s softest setting. While that might be acceptable for those who drive their own cars, it’s too stiff for the long-wheelbase versions that are more likely to be chauffeur-driven. You can help things by avoiding the larger alloy wheels that are available as an option, but even then the low-speed ride feels slightly unsettled. The XJ is smaller and lighter than many of its rivals. It feels remarkably agile, even in long-wheelbase guise, and changes direction effortlessly with little body roll, giving the impression of a much smaller car. The steering is precise and very sharp on turn in, weights up naturally as you start to corner harder, and also offers comparatively good feedback for this class. 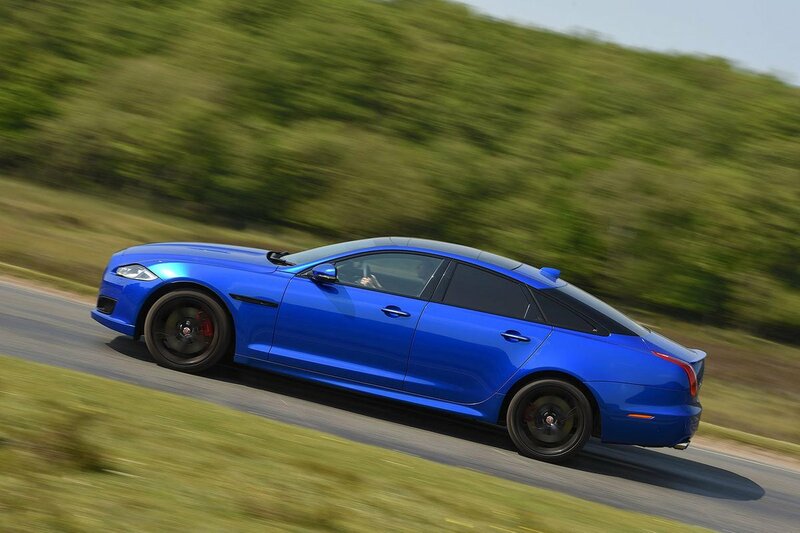 You soon forget that this is a car that’s well over five metres long; you can have some genuine fun in the XJ. At low speeds around town, it is a breeze to manoeuvre, while at motorway speeds it is stable and incredibly well planted. 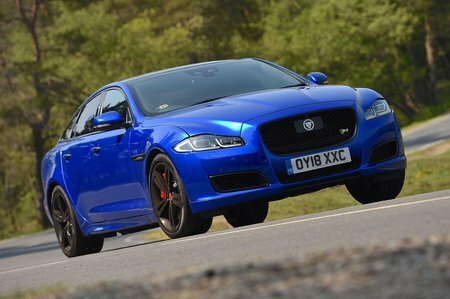 Very few cars in this class manage to be big and fun – but the XJ is just that. There’s some chatter from the diesel engine at idle and vibration when the start/stop system kicks in. Thankfully, it’s more subdued above idle; when you accelerate hard, there’s barely more than a low grumble from the twin exhaust pipes. However, the XJ does kick up some road and wind noise, so it’s not as hushed on the motorway as the Audi A8 and Mercedes-Benz S-Class.